Construction of the Radio Shack was completed in Sept 2002.This was my first view of the shack. Left table operating position Mar 2003. Antenna control allowed 2 driven antennas per band. This photo shows the empty operating table. 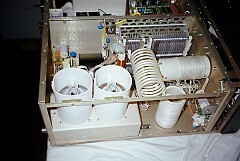 All radios and amplifiers are stored off-site after the contest. October 2003 shack. Added LCD monitors, Emtron amplifier and the third tower. Mar 2006 Left position. dual monitor, Better low-band RX antennas. three transmit antennas per band. Mar 2008 Left position. Dual monitor with articulating arms. Trophy for CN2R CQWW SSB SOAB 2004 High power Winner! Main Left operating position with Bigali paddles and full-travel small keyboard. 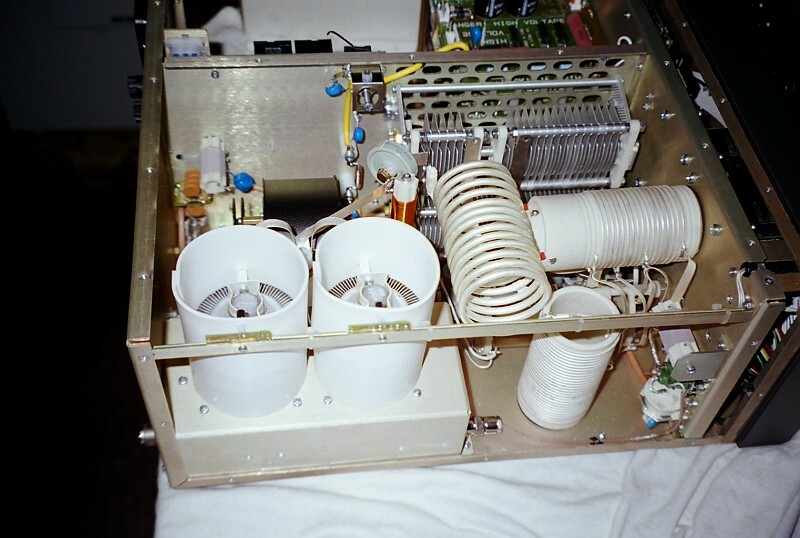 Oct 2004 antenna control muxed a Cushcraft A3s between 10/15/20. This allowed 3 direction TX/RX.